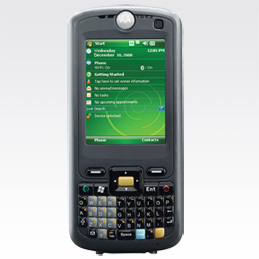 This compact and lightweight Motorola FR68 incorporates a 3.5G mobile phone, GPS with superior sensitivity and tracking capabilities, 1D barcode scanner, high resolution auto-focus colour camera, 3.5G wireless WAN(WWAN), wireless LAN (WLAN), wireless PAN (WPAN) and IrDA connectivity – all in a single device. The FR68 is the ideal partner for mission critical mobile business applications. Equipped with a wide 3G bandwidth, the FR68 has the capability to manage data, voice, video and auto-id capture. With industry standard IP54 sealing and rugged drop specifications, the FR68 will survive the wear and tear of daily use, whether in retail, field sales, field force automation, track and trace, logistics, transportation and fleet management, public safety or health care. Refer to the FR68 product brochure for the full specification. The Motorola FR68 shares some of the MC70/MC75 accessories such as the single slot cradle.